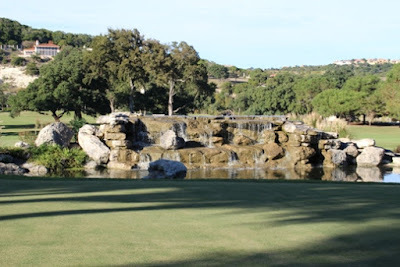 If you’re looking for a family vacation spot, romantic getaway, golf getaway, or meeting destination for your business, be sure to check out Tapatio Springs near Boerne in the Texas Hill Country. 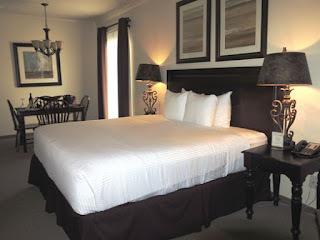 The upscale resort recently completed multi-million dollar enhancements and has more renovations planned for 2016. 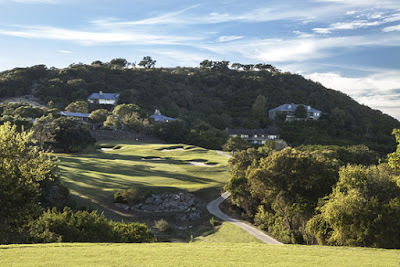 The 18-hole golf course, the resort’s primary amenity, received most of the initial transformation. Two million dollars were spent for new bunkers, tee boxes, restored greens, and updated driving range and putting green. Next year improvements are on the docket for meeting spaces, guest rooms, and the fitness center. weddings, business meetings, or other events. Outdoor patios with fire pits--lit every night for a dreamy ambience--and live entertainment on Friday and Saturday nights were a hit last summer. 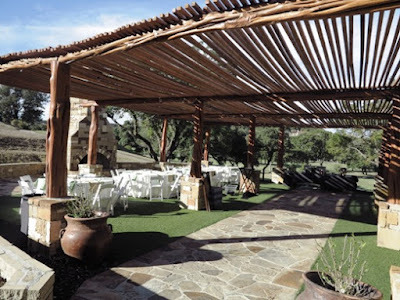 Locals can join guests for dining on delicious Texas fare at La Cascada Table and Bar and then stay to enjoy complimentary music by local songwriters and storytellers. You’ll also see a display about George Strait, co-owner of Vaqueros Del Mar Development, a partner in the resort. cabanas, and a slide--great place for families to splash around. 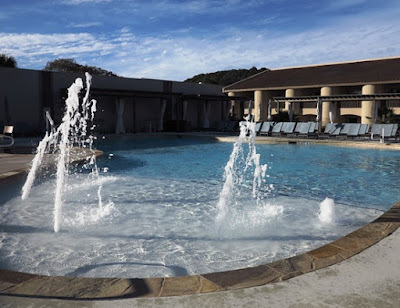 The resort has improved its two swimming pools—a family pool with shaded cabanas and a twisty tunnel slide and an adults-only pool, both with seasonal food service. And then there’s the PureSol Spa. 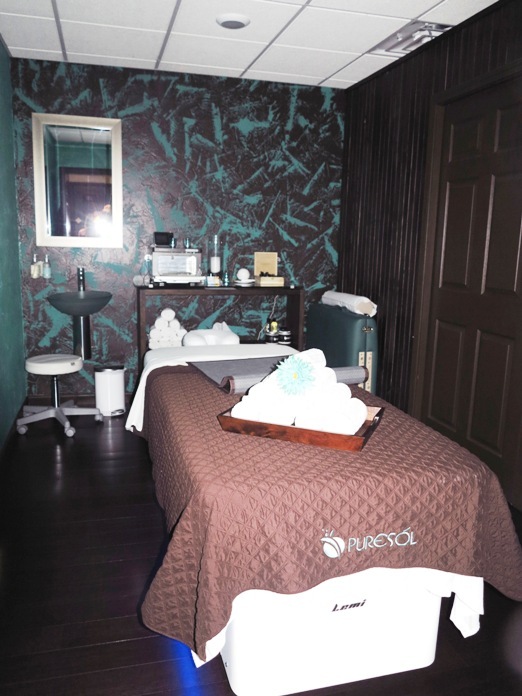 In addition to massages, facials, and other healing therapies, its most unique feature is a healing Salt Cave with walls made of salt bricks from Poland. Guests partake of inhalation sessions especially beneficial for people with allergies, asthma, or respiratory issues. Located amid rolling hills and limestone cliffs of central Texas, Tapatio Springs Resort and Spa allows guests to escape the hustle and bustle of urban areas. It is 35 minutes from San Antonio and only five minutes from the charming historic town of Boerne. Known for craft and antique shops, Boerne also has fun activities and festivals throughout the year. “It’s a town that loves its roots,’ says Mike DiLeone, Director of Sales for Northview, the development company overseeing the renovations. Currently the resort utilizes 220 acres. It includes 111 rooms and 13,000 total square feet of meeting space. A multi-use conference center containing 6,000 square feet faces an open green space that can is perfect for outdoor gatherings in the mild Texas climate. “The resort has a genuine and intimate feeling,” Collins says, adding that there’s no noise or traffic to intrude on visitors’ serenity. 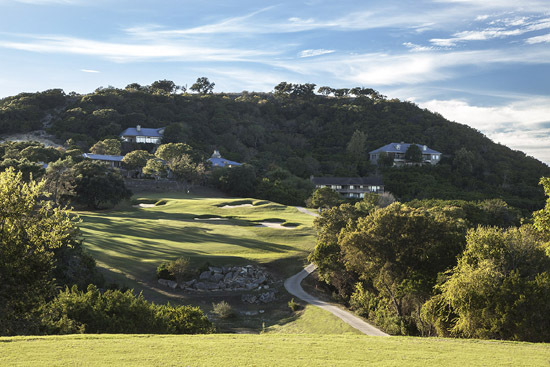 Of course, guests can spend all their vacation time at the resort, but those who want to explore the Texas Hill Country will find state parks and the Frio River for kayaking or fishing nearby. Lower winter rates start in December and run through March 1. Check out golf packages and special rates for Texas residents at Tapatio Springs, or call 855-421-0211.